Our only guidelines for the experiment were no fast food chains and no greasy spoons. ABC7 wanted to find places where you could sit down, have a hearty meal and get out for less than $10. Our first trip is to Skokie, where a venerable Middle Eastern restaurant has one of the best lunch specials in all of Chicago. Since 1982, the Pita Inn has offered one of the best deals in Skokie, if not the entire region. For a few hours each day, they offer the ultimate lunch combo, and the amount of customers who flock to the restaurant reflects its popularity. "We only raised our prices twice in 26 years. We still have a combination special which has all the meats - shish kebab, kefta kebab, shawarma and falafel, rice, salad and pita bread all for $3.95," said Hazem Tabahi, Pita Inn. It's one thing to offer a combo; it's quite another to make all of it from scratch on the premises. Consider one small element, the falafel. First, they grind up chickpeas with whole garlic cloves and white onions. Fresh parsley is added to give it color. Once the mixture is collected in a bowl, it's ground up a second time, but now they add cumin, coriander and sesame to the resulting blend. Finally, it's mixed up with giant hook, and almost immediately, it's whisked out to the front, where it's rapidly formed over a falafel spoon, then dropped into a deep fryer for about three minutes. Served solo or with lettuce and tomato in a sandwich, it's the perfect vegetarian meal. "Everything is from scratch. My father, when he opened in 1982, he was the chef. He trained each one of our chefs in all of the other locations. So the recipe has been the same for 26 years," said Tabahi. There's also ample amounts of homemade beef shwarma, sliced on the spit, as well as chicken. Tabouli salad is loaded with parsley, onions and tomatoes, surrounded by pickled turnips and briny olives while the hummus and baba gannouj are both smooth and ready for ample dipping by warm pita bread - which is made their bakery next door. Kibbe is another tasty starter, loaded with ground beef and pine nuts. Desserts are limited, but homemade as well: flaky baklava loaded with honey and nuts or kinafa, a syrupy-sweet phyllo concoction worthy of any Middle Eastern home. Tabahi says whether it's lunch or dinner, his customer base is wide. "We like to cater to everyone. Our clientele is students to the doctors, lawyers, any type of customer," said Tabahi. 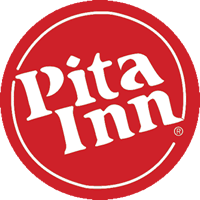 Pita Inn also has locations in Wheeling and Glenview. And at the original in Skokie, they also have an adjacent bakery and grocery store, where you can pick up all kinds of delicious Middle Eastern ingredients and snacks. Between the intoxicating smells and the out-the-door line of patient devotees, I had a good feeling about Pita Inn from the get-go, excitedly planning my next visit before my first bite. The original Skokie outpost has been going strong since 1982 and, having lived in the North 'burbs my entire life, I'm embarrassed (and really sad) to say that, until last week, I had never been here. I started making up for lost time with a much-need Mediterranean feast of lentil soup, chicken shawarma, fattoush salad and some of the best hummus I've had in quite a while, served with the eatery's famous namesake: fresh baked pita bread, prepared on site daily. Good luck finding more bang for your buck anywhere else, as even fast food often doesn't come this cheap. Aside from unbelievably low prices, Pita Inn is adored for its freshness, cleanliness and, most importantly, to-die-for lunch and dinner. The vegetarian combination plate, one of the pricier items on the menu at $6.95, comes with (brace yourself) three falafel, three stuffed grape leaves, hummus, baba ghannoug, Jerusalem salad and tabouleh salad (pita too, of course). For the meat eaters, there's shish kabob, lamb kabob and beef or chicken shawarma. And you can't go wrong with one of the ever-popular pita pocket sandwiches (say that five times fast), which range from $2.75-$3.95. Monday through Friday between 11 a.m. and 3 p.m., you can get the business lunch special: a combination of shish kabob, kifta kabob, shawarma and falafel served with rice pilaf, salad and pita for an astounding $3.95. Seriously. Break the bank with a 95-cent piece of baklava for dessert. If you're not too full to move, head to the market next door and stock up on Mediterranean favorites like feta, olive oil, sesame candy and, of course, pita.